Enjoy the warmth of wood without feeling cramped. The smaller your place is, the more important it is to invest in quality flooring. Having limited space means your flooring should be able to withstand a considerable amount of traffic from occupants and occasional guests. 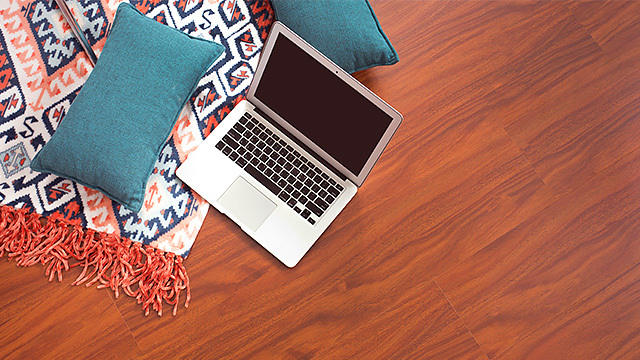 Add character, warmth, and value to any small space with solid or engineered hardwood flooring like Maple from Matwood Treated Innovation Floors, which are already pre-stained and ready for installation. 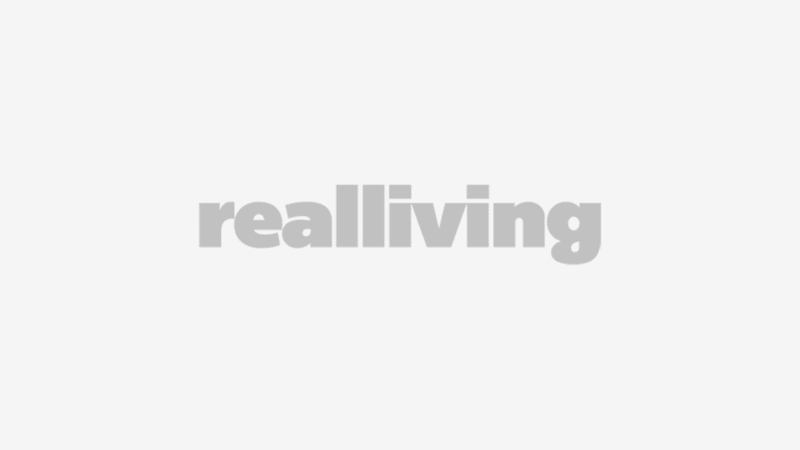 Tip: If you want to make your space look bigger, lay out the materials in a diagonal pattern. Go dark with Walnut from Matwood Treated Innovation Floors, stained to enhance the shade of the real hardwood veneer. A dark finish may make a room look small, but it works where there are big windows so glare is minimized, and with the right combination of lighter shades of wall color, trim, and moldings, things even out well for that polished look. 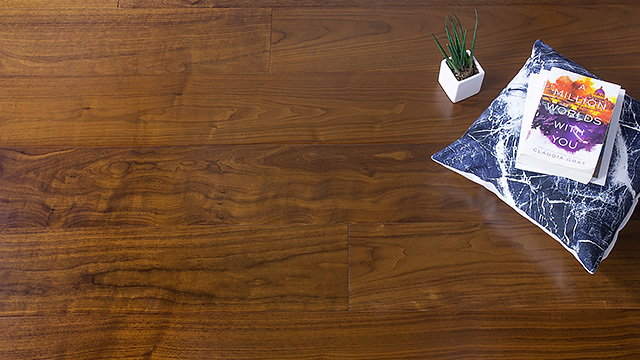 Show off the natural wood grain by opting for Teak from Matwood Treated Innovation Floors. To give the illusion of space, use a consistent design scheme throughout your condo. If you want to try a different shade for another area of your home, remember to stick to the same color palette. Composite-type flooring, like PCW Ultra Floors in red shade, is made from a mixture of wood fiber, plastic, and a binding agent, making it more resistant to abrasion than solid or engineered wood flooring. It's waterproof so you won't have to worry about spilled liquids in areas like the kitchen and near the bathroom. Cop the look of wood without making a dent in your budget. 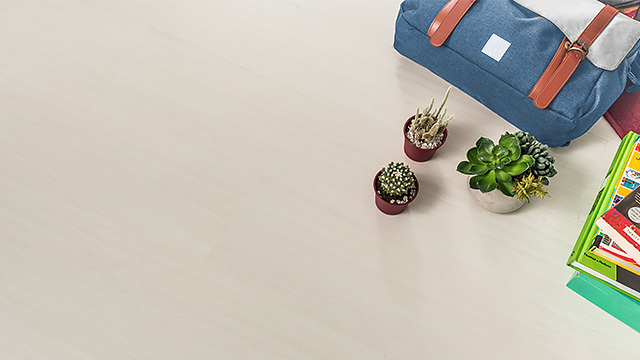 White Ash from PCW Lamina Floors simulates real wood with a photographic applique layer, except that its inner core layer is made of fiberboard materials. It also has a clear protective film, so there's no need to worry about its durability. 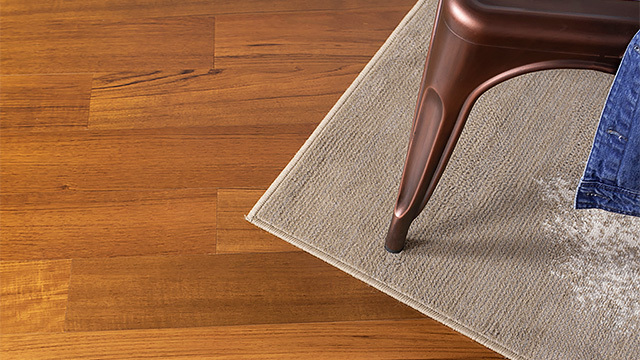 Bonus: Light-colored flooring instantly makes a room appear brighter. Final tip: Rely on Matimco for quality wood products like flooring materials. With over 50 years of experience in the construction industry, Matimco embraces the tradition of world-class innovation by offering a well-curated roster of wood brands for various requirements. Note: The images shown are for illustration purposes only and may not be exact representations of the products.